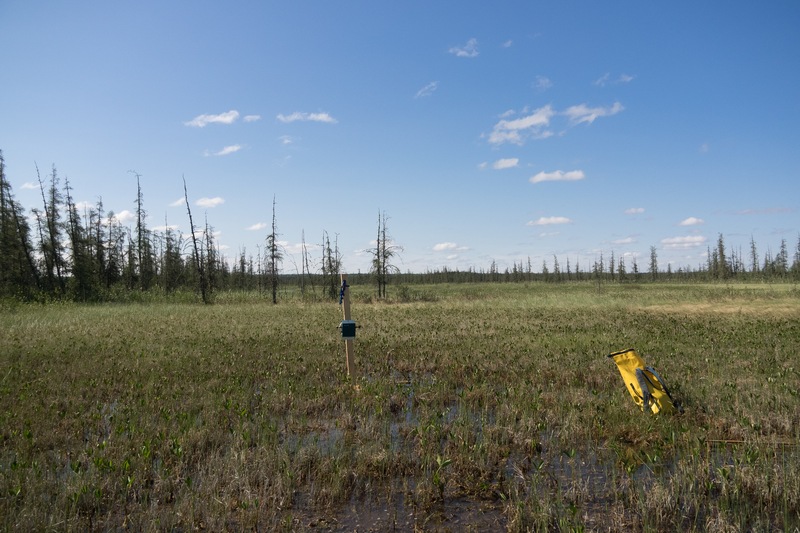 As an incoming PhD student in Erin Bayne’s lab, I was fortunate to spend the summer before grad school north of Ft. McMurray, AB studying yellow rails and common nighthawks for the Bayne lab. I was struck by the patterns and contrasts of the boreal landscape in the oil sands area, which are well worth sharing as a photo essay. Our 2015 field season started with a helicopter reconnaissance of the three large graminoid fens where we planned to deploy autonomous recording units (ARUs) to survey yellow rails. There was much banking and loop-de-looping involved; Tim Hortons breakfast burritos were not a good choice. ARUs are an obvious choice for monitoring yellow rails for several reasons: 1) Yellow rails are highly cryptic, 2) they’re nocturnal, and 3) they live in floating graminoid fens, which are not a particularly fun place to survey in the dark. Graminoid fens are wet places, and traversing one is akin to walking across a wobbly water bed. 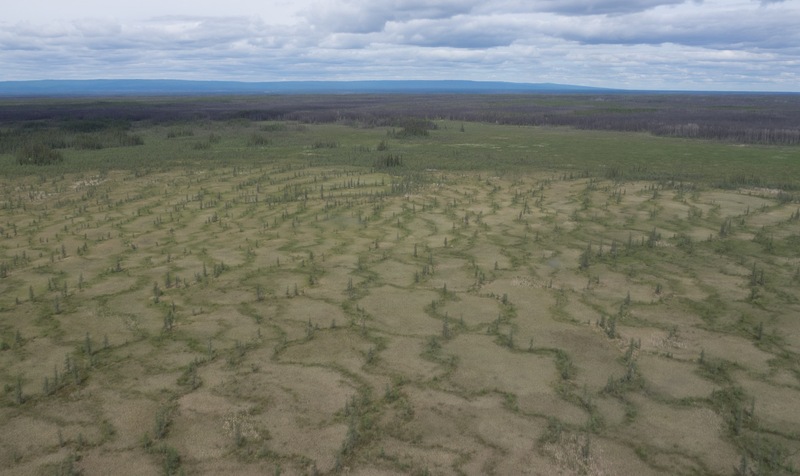 Much of our work was in McClelland fen, Alberta’s best example of a patterned fen and a provincially significant environmentally sensitive area (ESA). The fen is on the southeastern side of McClelland Lake, north of Fort Mackay. 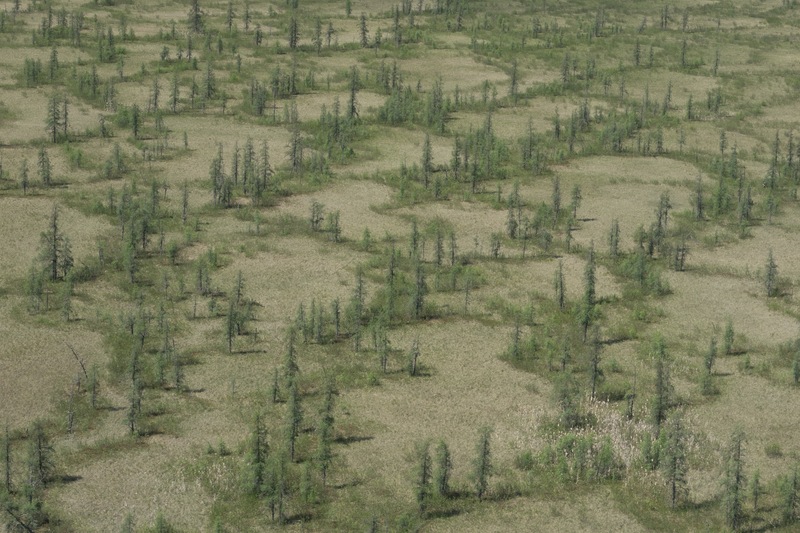 Patterned fens are characterized by strings and flarks. Strings are the lines of larch and bog birch. Flarks are the graminoid areas in between. Although I’ve yet to use it, I believe “flark” may be the best scrabble word ever. 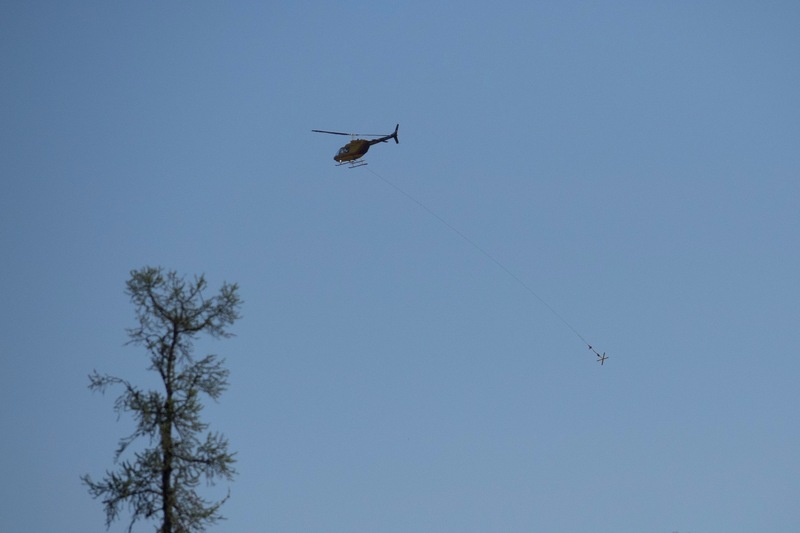 These large fens can be difficult to access and hike through, so we deployed the ARUs via helicopter long line. Labmate Dan Yip developed a clever stand design that allowed the ARUs to be automatically dropped from the long line and still stay upright. Hooking the stands back to the long line for pick up required slogging through the fen though. Slogging through fens provided the opportunity to see many unique flora and fauna. 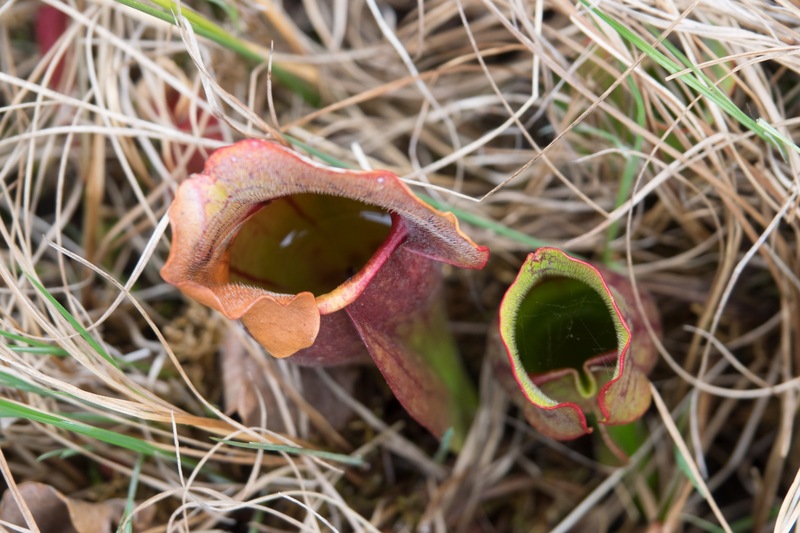 Pitcher plants are found in fens on hummocks of moss. These plants obtain nutrients by attracting insects who get caught by downward pointing hairs on the sides of the pitcher. The insects eventually drown in the water within the pitcher and the plant slowly digests them. 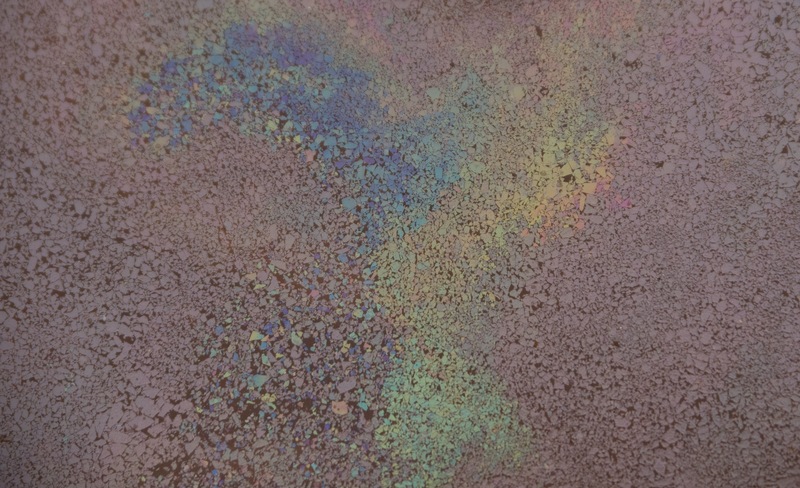 In other parts of the fen, microbes create a sheen of oil as a by-product of digestion, which catches the light and fragments when disturbed (by the slogging). 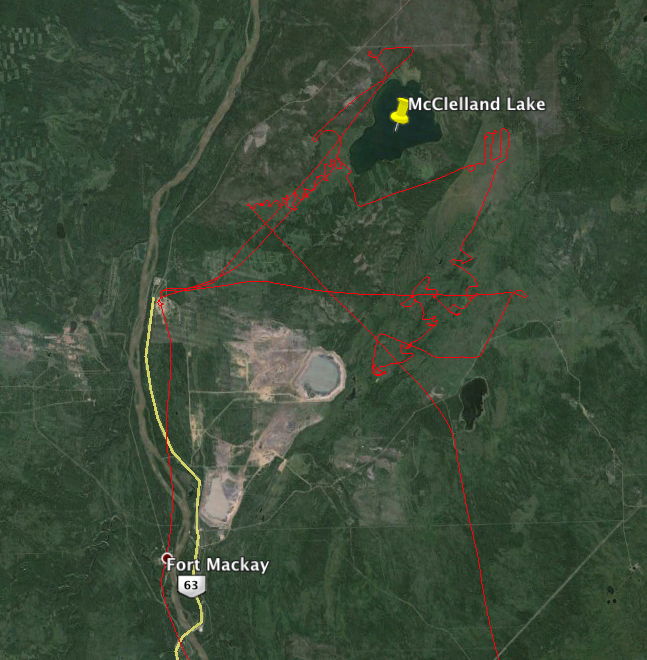 Our helicopter work also included aerial views of the oil sands development just south of our study area. 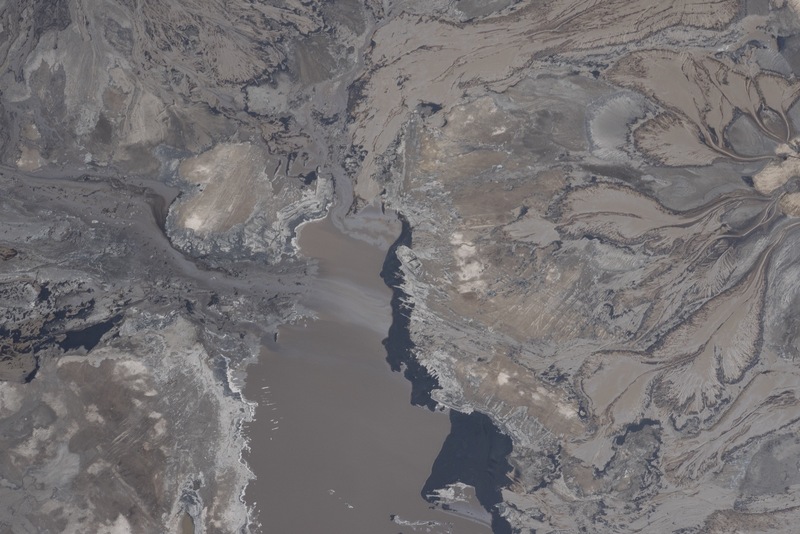 Here, bitumen, salts, solvents, and sediment on the surface of a tailings pond creates an equally eye-catching pattern. Back at camp, we set our tents up in a stand of live trees for safety measures. 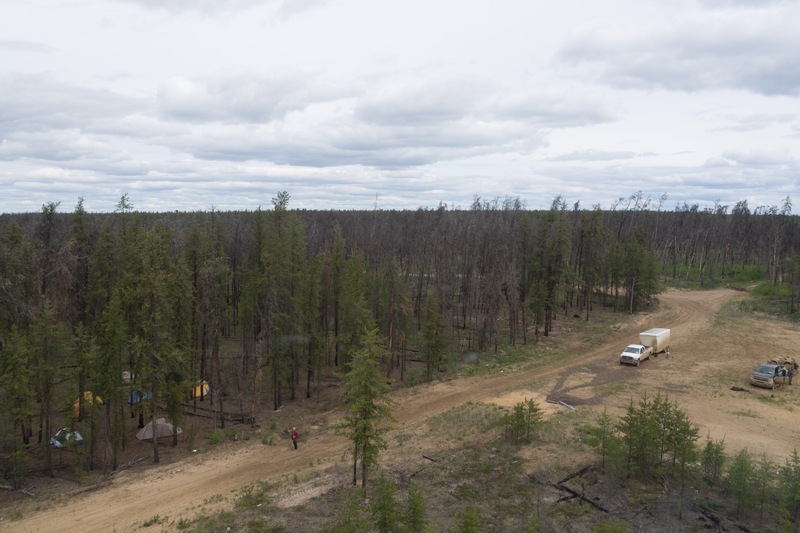 The area north of McClelland Lake for several hundred kilometres is a sandy jack pine forest that burned in 2011 during the Richardson fire, which was the second largest fire in Alberta’s recorded history. Also, pro tip: get your helicopter to pick you up at camp. The regenerating post-fire landscape of the Richardson burn is beautiful. 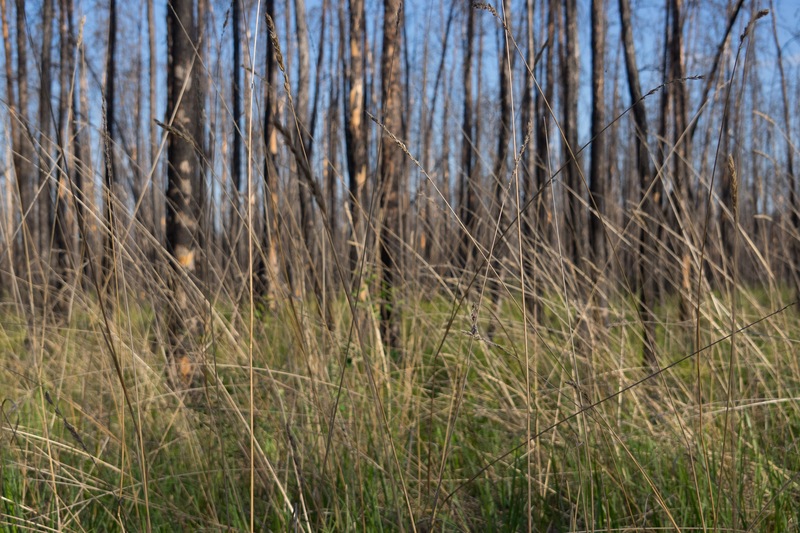 Lab mate Janet Ng and I came across this sunny patch of burned pine and grass during a morning survey for olive-sided flycatchers. Turns out post-fire jack pine forest with is prime habitat for common nighthawks, which we spent the second half of the field season studying. Lab mate Daniel Yip found this nest in a stand of burned pine. 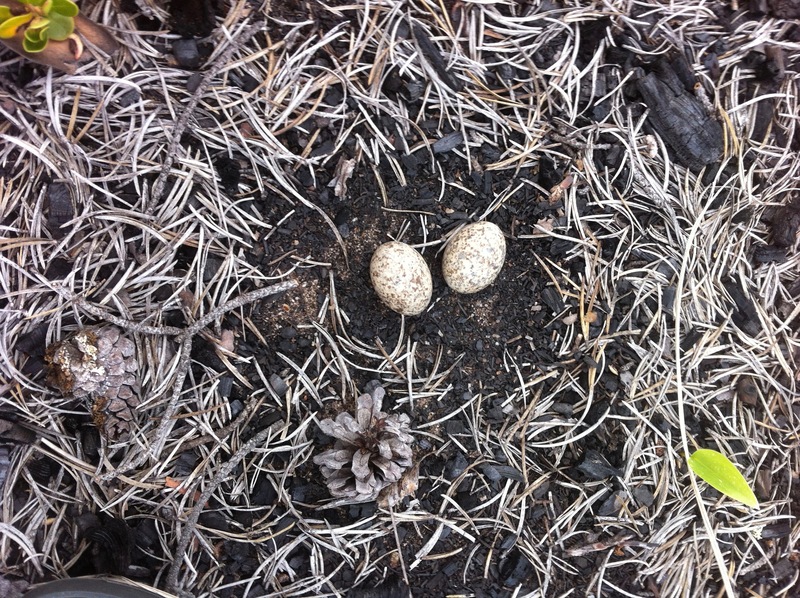 Common nighthawks don’t make nests – they simply lay two eggs on bare ground. This bird has pulled out all the stops and even cleared a few pine needles. 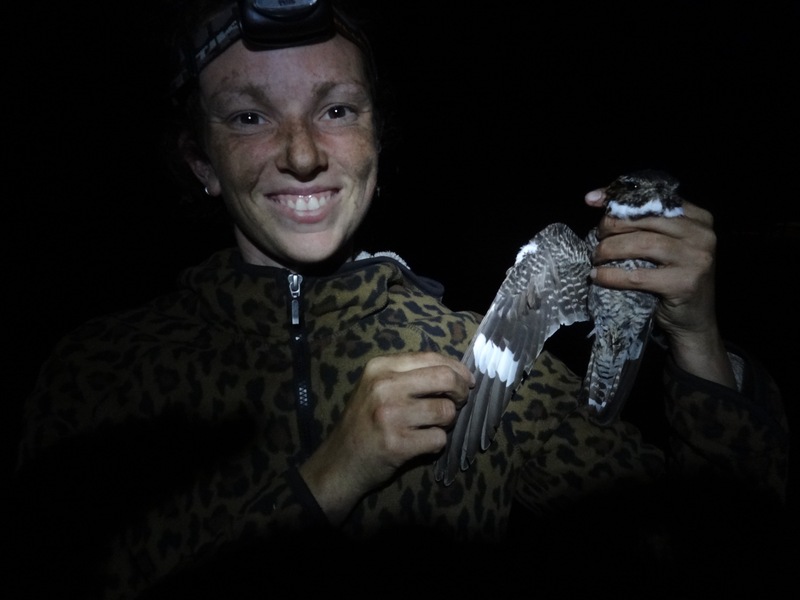 By night, labmate Janet Ng taught me how to catch common nighthawks, my PhD study species. We worked at night because nighthawks are crepuscular (i.e., active at dusk and dawn). 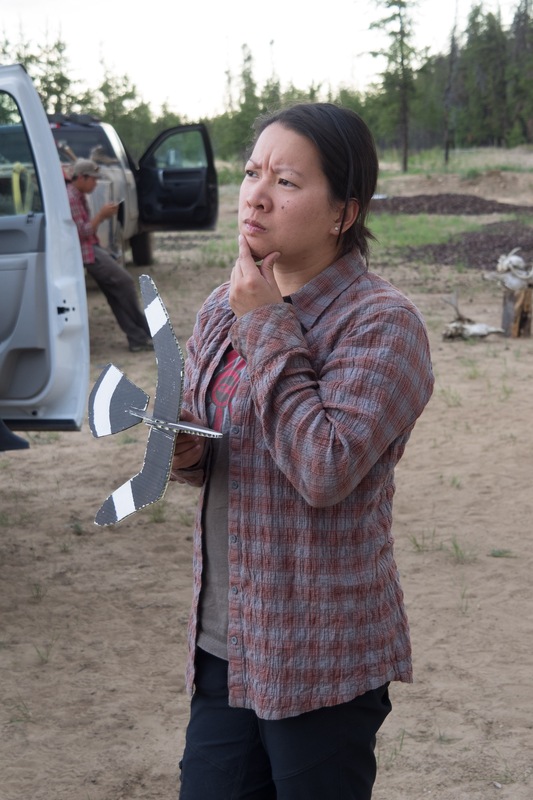 Here, Janet contemplates the coming evening’s work with Maurice, our handsome nighthawk decoy, who helps lure the real birds in. This is Janet’s “science face”. 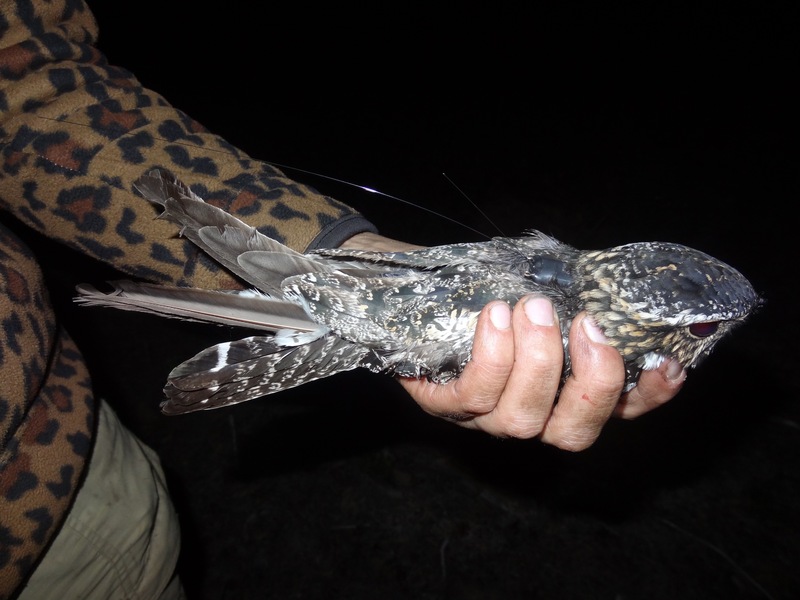 With the help of Maurice, we caught male nighthawks and fitted each bird with a satellite transmitter for a migration study by the Smithsonian Migratory Bird Center. You can read more about the project on Janet’s blog post here. Photo credit Janet Ng. 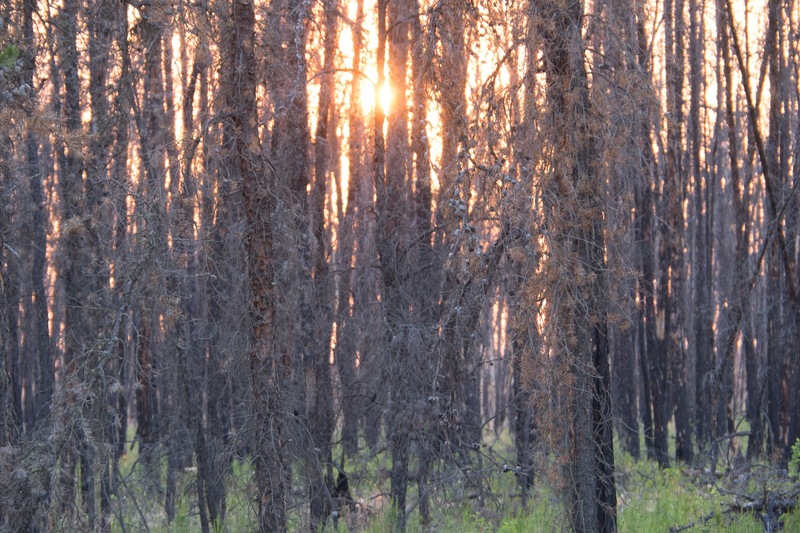 Doing common nighthawk work in northern Alberta meant staying up real late to wait for dusk, but the slow sunsets through burned pine were spectacular. Needless to say, I’m excited to get back up north next summer to continue studying common nighthawks! This entry was posted in birds, FieldWork Update, research, science, university by jahaines. Bookmark the permalink.